MELISSA Dugdale's back to school shopping list was three times longer than usual this year. 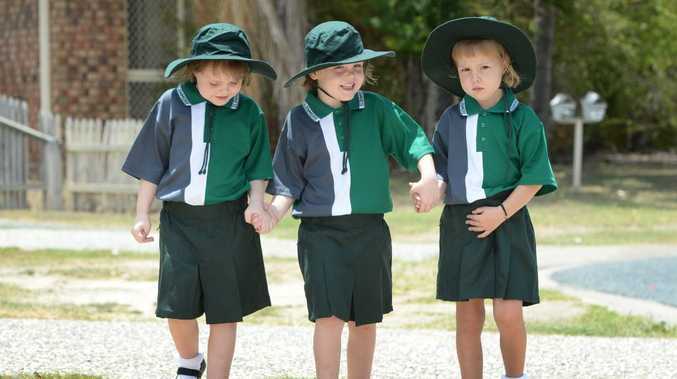 The Rockhampton mother has spent the past couple of weeks preparing her triplet daughters for their first day of prep. While Melissa admits things have been a little crazy she says it is exciting to see her girls grow up and start new adventures. Sheyniqua, Sheyenne and Nikkitya Jones start at Glenmore Primary school tomorrow. Mum, Melissa said it would be a new experience for both her and her children. "They've just grown up so much...now I'm sending them off to school," she said. "It's all new to me, I'll be a bit lost." The mother of seven said the girls were all excited for school but Nikkitya was definitely the most enthusiastic about starting. "Nikkitya is the odd one out, she's asked if she has to go to school today and when you say no not today she says she wants to go now," she laughed. "They are all in the same class together… knowing that they will be in the same class and have each other is comforting." Melissa said the triplets attended a step program to help prepare them for school. 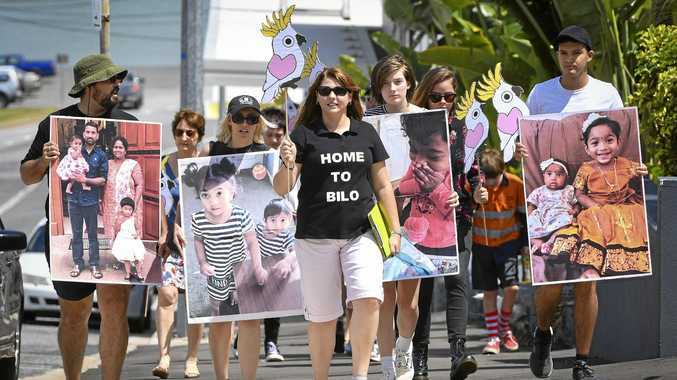 "The teacher they will be with was at the steps program, so they know her… she has triplet boys herself, I couldn't believe it when she told me." The Rockhampton mum said back to school shopping was interesting because she had to buy three of everything. "Getting the school uniforms was so much fun…they are so little so it was hard to find ones that fit right." "They look really cute in their uniforms and I was really impressed… not my little babies anymore." Melissa said even though the girls were excited she still anticipated first day nerves. "The school drop off is going to be interesting…it will take them a while to settle into the routine but I think they will be just fine."